A selection of these desirable plants will be available as from May. 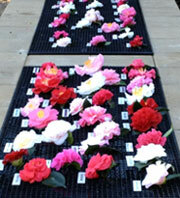 The varieties offered are all suitable for the Sydney area, flowering from July to October. Plant facing east or south-east with plenty of morning sun, but protect from afternoon sun and damaging winds. Too much shade will reduce the number of flowers. Provide a friable, lime-free soil with plenty of humus. Good drainage is essential and an adequate supply of water is necessary for good growth and the prevention of sunburn during hot summer days. 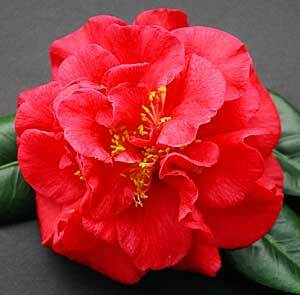 Spray against lace bug as for Azaleas; feed and prune as for Camellias. 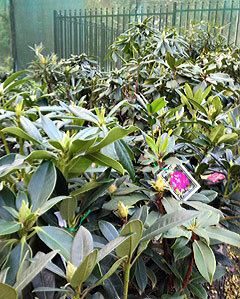 Many strong growers tend to become straggly over the years and judicious pruning (immediately after flowering) will help keep the plants in good shape.